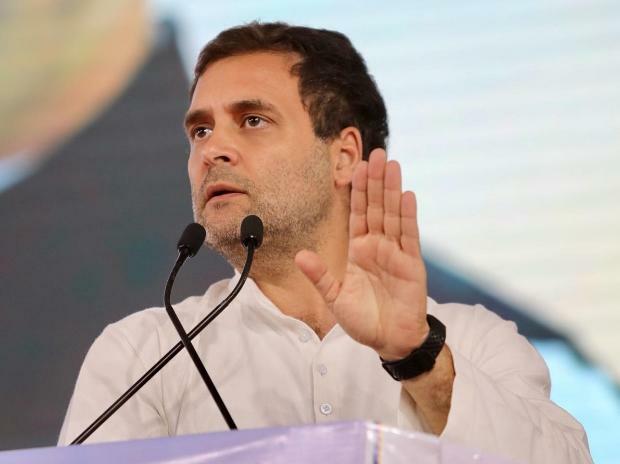 Congress president Rahul Gandhi Tuesday said his party consulted "big economists" including former RBI governor Rahuram Rajan before it came up with the idea of minimum guaranteed income to the poorest 20 per cent households in the country. Addressing a meeting of his party workers, Gandhi said Prime Minister Narendra Modi promised to transfer Rs 15 lakh to every bank account. "We thought it was a good idea...Rs 15 lakh in bank accounts. But the promise was not fulfilled by Modi. We started our work six months back to make such a thing reality," he said. "We were engaged in this work for six months. Take the list of all big economists of the world, we consulted them...Raghuram Rajan...one by one," he said. "First thing, we we came to know was that there should be a minimum income line. We calculated and the result was that the minimum income line should be 12,000 per month," he said. Gandhi said his party will fulfil the promise. On Monday, Gandhi had announced in New Delhi that Rs 72,000 per year will be given as minimum income to poor families, benefiting around 25 crore people, if his party is voted to power in Lok Sabha polls, and asserted it will be the final assault on poverty.